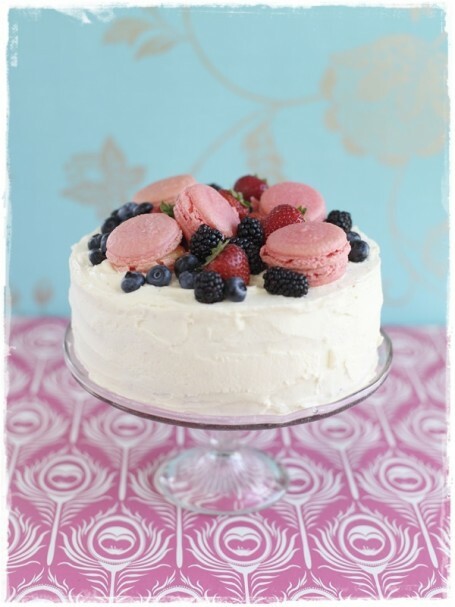 My cakes are bounteous, delicious and above all natural – this is a fondant free zone! I can decorate and personalise all my cakes to client’s requirements, using ingredients found in nature, such as flowers and fruits. My only rules are that it needs to taste as good as it looks! I like to use a teaspoon of the unexpected in my baking – violet petal infused scones and lemon geranium muffins are firm favourites. 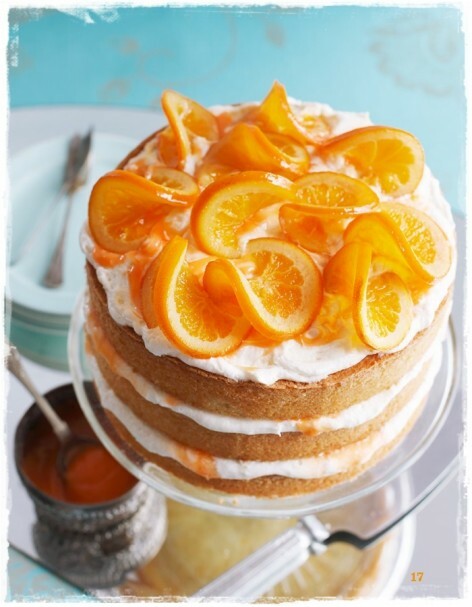 Above all, my cakes are there to be eaten and enjoyed – they aren’t works of art to gather dust! 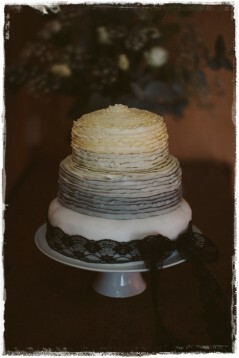 The cake for your big day should be a big event, and reflect your personalities and the theme of your day. Towering layers of feather soft sponge perhaps, sandwiched with fresh fruit compotes and Swiss Meringue buttercreams, and garnished with fresh flowers, fruits and herbs. Ruffles and ombre effects look beautiful and elegant, homemade pralines and meringue kisses for fun and kitsch celebrations, or just a gorgeous naked sponge if your day is more simple and rustic. Talk to me about your ideas – I’m always happy to advise and discuss possibilities. 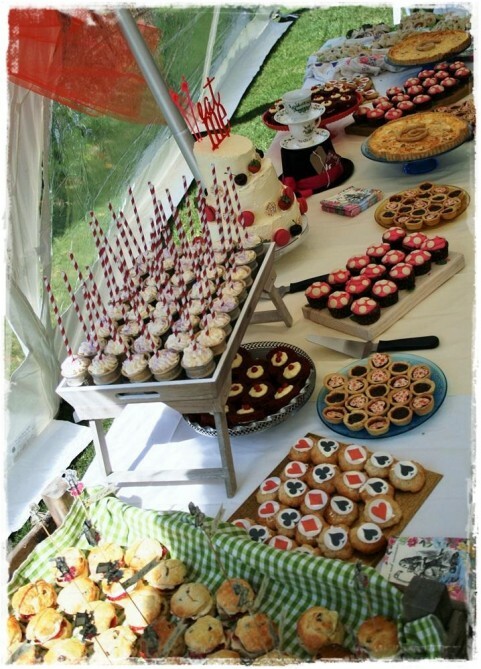 A sweet new trend in the last few years is having a dessert table at your wedding or celebration. 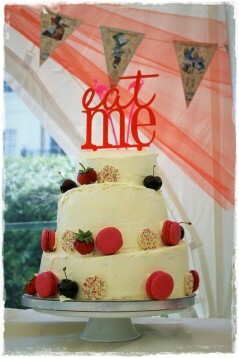 A table, or apple cart, or trolley laden with gorgeous cakes, pies, traybakes and puddings is a real show-stopper. Best of all your guests get to come back for seconds (or thirds!). Dessert tables can be instead of pudding, or a traditional wedding cake, or even as a full meal for your guests in the evening. 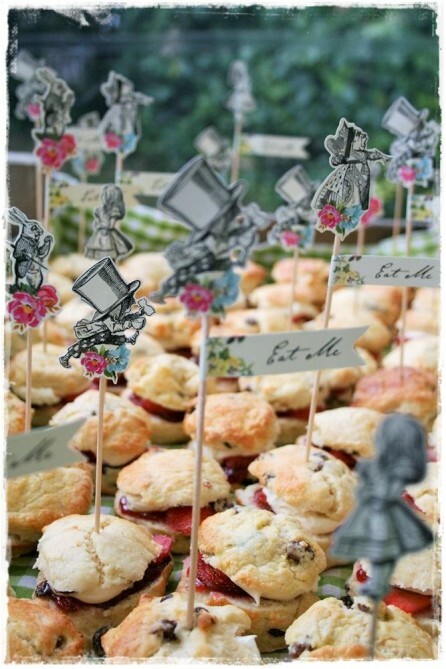 From a simple afternoon tea with scones, clotted cream and homemade strawberry jam on a picnic table, to a shabby-chic wardrobe filled with French patisserie displayed on antique lace, the individual style and ideas are as unique as you are. I have a collection of props such as vintage fruit pallets and handmade patchwork throws to ensure that your sweet treats look attractive and delicious. 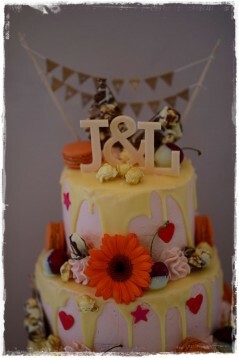 Single tier (3 layer 20cm) – £40. 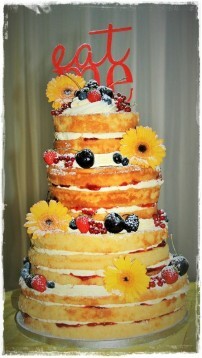 Double tier (3 layer 20cm plus 3 layer 15cm) – £60.